There are several places to look for used automobiles. The easiest places are: new car dealerships, used car lots and in classified advertising both in print and online. You can find a good used car, truck, van or SUV from any of these sources. New car dealerships will usually have used automobiles for sale. These automobiles are trade-ins for new automobiles. New car dealerships normally keep the trade-ins that are in the best condition and sell the rest to other lots. Even though there is room for negotiation, new car dealers expect top dollar for their used automobiles. 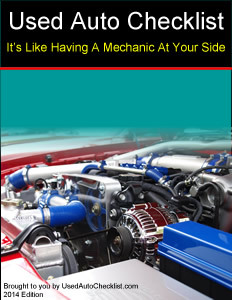 The obvious advantage is that these automobiles, in most cases, come with a limited warranty. The new car dealerships are probably the safest place to buy a used automobile but if you're interested in getting the best deal and want to avoid an aggressive salesperson who may have a less than honest approach, you should try other sources. Even though the used car lots buy the “less desirable” automobiles from the new car dealerships. It is not their only source for resalable automobiles. Used car lots get their automobiles from many sources. So it is just as likely for them to have a good used automobile as any other place. There are some honest used car lot owners, despite the bad reputation this industry has. As with any used automobile transaction, make sure you get everything in writing before you pay for the automobile. Also read the contract and any warranty before you lay your money down. Used car lots, in most cases, will sell their automobiles with a limited warranty. The disadvantage is that they may not have adequate repair facilities. Some used car dealerships do not have any repair facilities. This might create complications in the arranging of warranty work. The private seller is another source for used automobiles. These sellers list their automobiles in the classified sections of your city paper, other local publications available at your local convenience store. And now with the Internet, you can search not only for local sales but all over the world. For a list of online used automobile listings click here. With the private market alone, your choices are virtually unlimited and you can usually get a better deal than on a lot. Keep in mind that most private sellers will advertise at a higher price knowing they may have to come down in price. This is especially true if the advertising is free. One disadvantage with the private marketplace is that there are no guarantees. You can purchase a warranty for your used car from a third party. Click here to see what is available. Note: Beware of the seller who tells you that he or she is selling the automobile for a friend. This is usually a tactic by an unscrupulous individual. Please review the list of top mistakes made by used automobile buyers back in the introduction of this book. Ask your friends when looking for used automobiles. The advantage of buying a used automobile from a friend is you will get honest answers to your questions (and you know where to find your friend if something goes wrong with the automobile). One other source for used automobiles is car rental companies. They offer late model automobiles that usually have high mileage. These automobiles can have warranties and are fully equipped. One advantage is that they will have the service records of their automobiles. Copyright © 2014 UsedAutoChecklist.com. All Rights Reserved.